Here are some interesting Mexico Facts which were chosen and researched by kids especially for kids. Mexico is located on the North American continent and shares borders with the USA in the north and Belize and Guatemala in the south. The border between Mexico and the USA is the second longest border in the world and is about 3,155km/2,000 miles long. Below you can see a map of Mexico, click on the map to zoom in to see more cities and detailed information. Mexico has mountains in the eastern and northern parts of the country, rainforests in the southern and eastern parts and deserts in the West. Most of the bigger cities are located in the southern parts of the country. There are low coastal plains, high-rugged mountains and a high tableau in the centre of the country. The climate varies from tropical climate to desert climate. Mexico has four time zones! 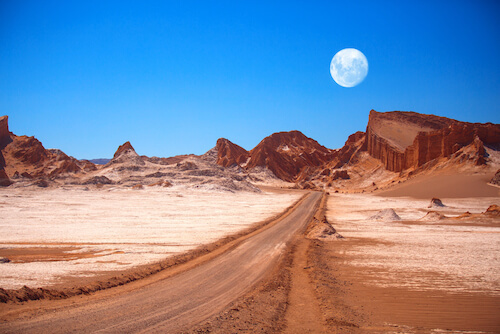 Mexico is situated on the ‘Ring of Fire’, the world’s most prominent volcano and earthquake region. 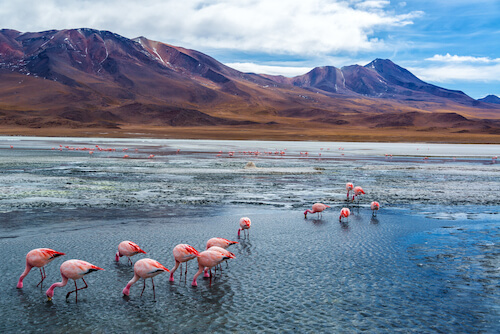 However, the volcanos on Mexico's Baja California, a popular tourist destination, are mostly dormant. The peninsula to the west of mainland Mexico is called Baja California. Over 120 species of cactus are growing there. The highest peak in Mexico is a volcano and is the third largest in Northern America. It is called 'Pico de Orizaba' or 'Volcan Citlaltepetl' and is 5,636m/18,491ft high. The flag is shows three bands in green, white and red. The emblem on the white ground shows an eagle standing on a cactus with a snake in the beak. What do the colours in the flag stand for? 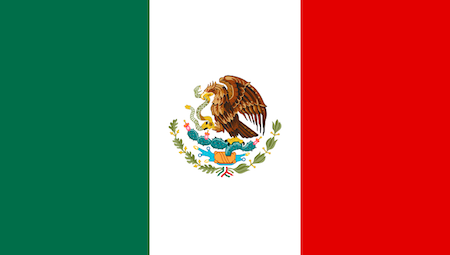 The colours of the Mexican flag stand for independence, unity and religion. The legend describes, that the Aztec settled and built their capital city which they named Tenochtitlan, which is today Mexico City, on the place where they saw and eagle sitting on a cactus, eating a snake. 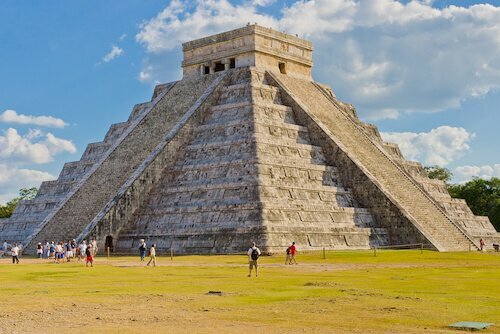 Chitzen Itza: built by the Maya people is a World Heritage Site and visited by more than one million people every year. 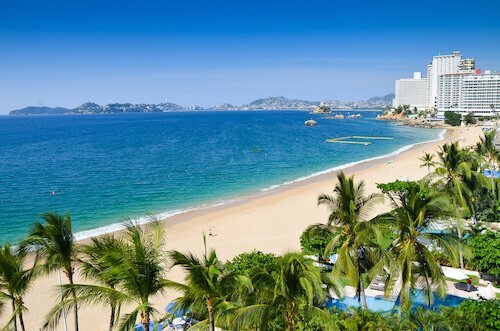 Acapulco: The bay on the Pacific Ocean is home to Mexico's most popular beach city with golden sandy beaches, lots of holiday resorts and known by families for it's magnificent water sports park. Mexico's busiest port is quite a sight too. 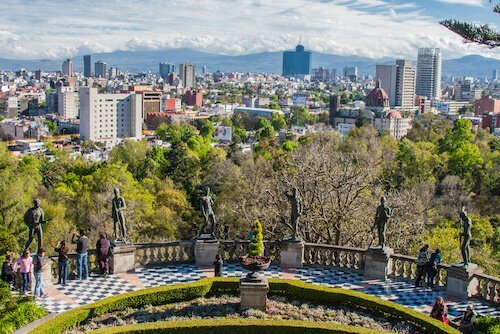 Mexico City: the capital city is built on the site of the former Aztec capital Tenochtitlan. 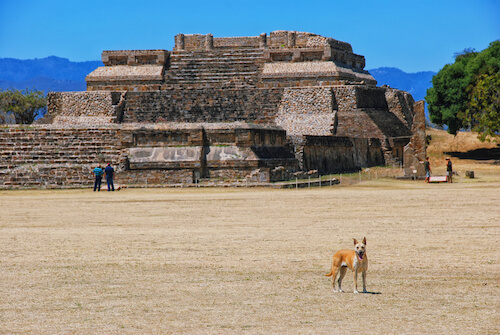 Make sure to also visit the ruins of the ancient Aztec pyramids at nearby Teotihuacan. 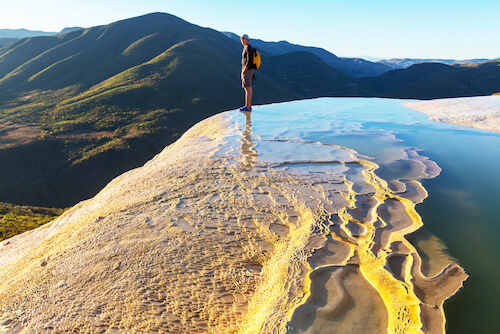 Oaxaca: Visit the archaeological site of the Monte Alban ruins, shop at the city's colourful market or see the rock formations and bubbling waters at Hierve el Agua. Most people in Mexico speak Spanish. Mexico is the country with the most Spanish speakers in the world. More people speak Spanish here than in Spain, because many more people live in Mexico and the country is also more than three times bigger. Mexicans are known as very friendly and welcoming foreigners, they are really fond of kids. 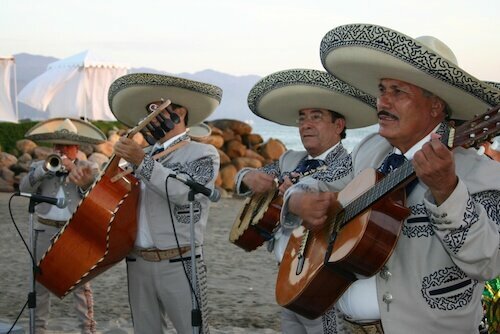 Mariachi are the popular musicians who play folk music. They mainly use string instruments, but also trumpets are sometimes played. The groups are often invited to play at birthday parties, weddings and other family celebrations. Famous Mexican are among many others: the actress Selma Hayek, the guitarist Carlos Santana and the soccer players Javier Hernandez and Guillermo Ochoa. 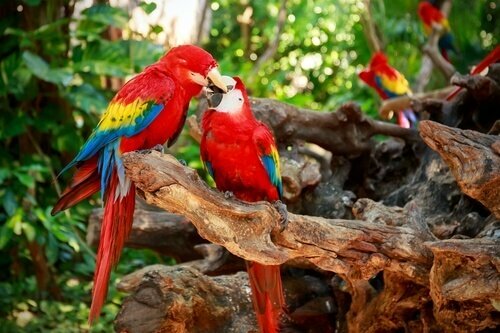 Mexico is one of the most bio-diverse countries on earth. The country has the most reptile species in the world housing over 700 reptile species and also has the second most (over 430) mammal species in the world. In Mexico, there are jaguars, pumas and huge iguanas. Whales, manta rays and manatees are common in the oceans and can sometimes by spotted of the Yucatan coast. In the jungles of southern Mexico, one can encounter various types of lizards, monkeys and colourful birds, such as parrots. Mexico's main trading partners are the USA, which is the most important parter for exports and China and Japan who also sell many products to the Mexicans and thus are Mexico's biggest import partners. The main exports from Mexico are corn (maize), oil, fruits and vegetables, silver, coffee, cotton. Chocolate, chilies and corn come originally from Mexico. 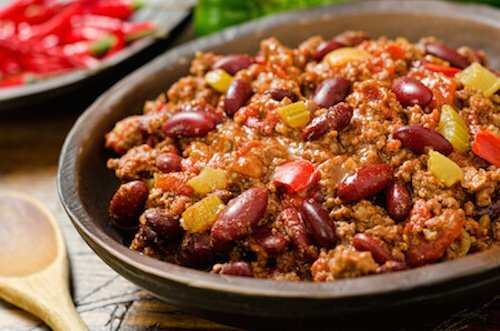 One dish many of you will know is 'chilli con carne', a spicy mince meat dish with beans. The main staple food is corn and rice, fruits and vegetables, chicken, pork, beef, lamb and along the coastal regions also seafood. Chile peppers are usually among the main ingredients in many Mexican dishes. 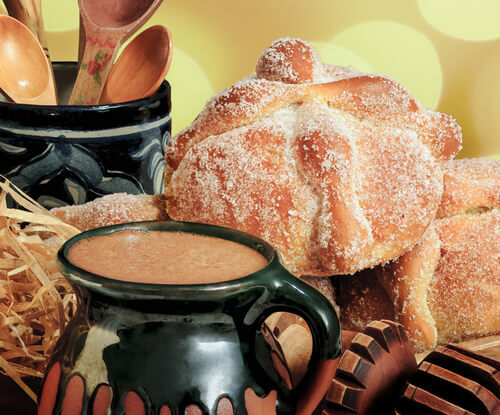 Hot chocolate was considered the sacred drink by the Aztecs!